Are you searching for a comprehensive yet affordable California auto insurance policy? With a 15 year track record of insuring California motorists, we offer a range of high quality insurance policies aimed at helping you feel safer and more secure behind the wheel. Our auto insurance policies are designed to give you the personal and financial protection you need to drive with confidence. As one of California’s top auto insurance providers, we have a deep understanding of what motorists across the state require from an insurer. With swift penalties for motorists without insurance and potentially huge costs for any uninsured motorist involved in an accident, it’s essential that you have adequate auto insurance coverage as a motorist in California. Below, you can find more information about our auto insurance policies, the type of options that are available and the areas we serve. To request a free auto insurance quote, please contact us now on (844) 961-6161 for instant service. 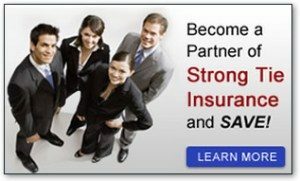 Do you need auto insurance in California? Uninsured motorist coverage can also provide assistance in the event that you’re involved in a collision with an under insured driver. We offer uninsured motorist coverage as an auto insurance option for our customers. With nine locations throughout California and one in Miami, Florida, we’re a leading insurance provider with a long history of helping American motorists stay protected and insured while on the roads. Would you like to request a free auto insurance quote or learn more about our services? Call our experienced team now on (844) 961-6161 to request a free insurance quote or learn more about the policies and auto insurance options we can provide for you. In addition to our California locations, we operate an insurance office in Miami, Florida. For a full list of our locations and address information, please check our locations list or enter your area to search for the nearest Strong Tie Insurance branch. Reliable and effective auto insurance is a must-have for any vehicle owner, particularly in states such as California that mandate auto insurance for motorists and charge fines and penalties for using public roads without insurance. Our experienced team of insurance specialists has helped hundreds of thousands of motorists in California and throughout the United States get the comprehensive coverage they need at a fair, affordable price. To get started, call our team now on (844) 961-6161 for a free auto insurance quote and more information about our policies. Our agents are available around the clock to give you the help and expert knowledge you need, when you need it.